At the Slotstox Foxhall Championship I qualified through the heats as 8th highest points scorer with 26 points. I was racing a Slotstox built by Chris Butcher Racing and originally raced by my dad. I won the Consolation final (6th overall) at the Slotstox Foxhall Championship having qualified for the quarter-finals as joint 3rd highest points scorer with 61 points. I also made my first away trip to the Aldershot Knights Slotstox Club on a Wednesday evening in early July for the Slotstox British Championship but I did not qualify from the heats. Having raced Slotstox as number 546 since I began racing in 1984, for this meeting I was required to change my number to 846 as Aldershot Knights Slotstox Club chairman Mark Butler was also number 546. Around the end of September, I was 7th in the Foxhall Foxes Slotstox Points Championship chart with 312 points and up to Red grade status. I was also 7th in the Slotstox Foxhall Grand Prix Series Championship points after 7 rounds with 213 points. I won the final on 20th September, was highest points scorer in the qualifying heats on 27th September, 2nd highest points scorer in the qualifying heats on 11th October, runner-up in the final at Slotstox Foxhall Grand Prix Championship round 8 on 18th October and highest points scorer again in the qualifying heats on 8th November. With this sequence of results, I was up to 5th in the Slotstox Foxhall Points Championship with 424 points and Superstar grade status. I was still 7th in the Slotstox Foxhall Grand Prix Series Championship points following both rounds 8 and 9 (22nd November) with 266 points and 300 points respectively. On 4th October, I qualified for the semi-finals of the Slotstox East-Anglian Championship hosted by the Foxhall Foxes Slotstox Club. This was the first time I had qualified for the semi-finals of the Slotstox East-Anglian Championship since 1986 when the championship was hosted by the Wisbech Fen Tigers Slotstox Club. Following the closing weeks of the season, including missing the 10th and final round of the Slotstox Foxhall Grand Prix Series Championship, I finished 6th in the Slotstox Foxhall Points Championship with 484 points and 9th in the Slotstox Foxhall Grand Prix Series Championship. More disappointment followed at a major 'Open' championship: the Slotstox English Championship hosted by the Foxhall Foxes Slotstox Club on 15th December. In my four heats, I scored 37 points: 4 points in my first heat (3rd in lane 1 and 4th in lanes 2 and 5), 8 points in my second heat (2nd in lanes 1 and 3 and 3rd in lane 2), 10 points in my third heat (1st in lane 2, 2nd in lane 3, 3rd in lane 1 and 4th in lane 4) and 15 points in my fourth heat (1st in lanes 1 and 2, 2nd in lanes 3 and 4 and 4th in lane 5). Due to a lower than expected number of drivers racing, the championship format was changed from three heats (with twenty drivers qualifying), quarter-finals, semi-finals and final to four heats (with ten drivers qualifying), semi-finals and final. I finished as 11th highest points scorer and was eliminated! I won the final on 14th February, was runner-up in the final on 28th February, 3rd in the final on 13th March before runner-up again in the final on 27th March. With this sequence of results, I was 3rd on the first Slotstox Foxhall Points Championship chart of the season with 129 points, Superstar grade status and only 4 points behind 1st. I was also 3rd in the Slotstox Foxhall Grand Prix Series Championship points after round 1 with 57 points. Whilst maintaining 3rd and Superstar grade status with 224 points on the second Slotstox Foxhall Points Championship chart of the season, I was down to 7th in the Slotstox Foxhall Grand Prix Series Championship points after round 2 on 5th June with 81 points. A 5th in the final on 19th June was followed by 4th in the final at the Slotstox Foxhall Grand Prix Series Championship round 3 on 26th June. On the third Slotstox Foxhall Points Championship chart of the season, I was up to 2nd in the Slotstox Foxhall Points Championship with 330 points and still Superstar grade status. I was up to 6th in the Slotstox Foxhall Grand Prix Series Championship points after round 3 with 133 points. This good sequence of results continued at the Slotstox Foxhall Championship held on 10th and 17th July. I only qualified from the heats as joint 16th highest points scorer (out of twenty qualifiers) with 36 points: 12 points in my first heat (2nd in lanes 1, 2 and 4, 3rd in lane 3 and 4th in lane 5), 7 points in my second heat (1st in lane 1 and 2nd in lane 4), 7 points in my third heat (2nd in lane 1, 3rd in lane 5 and 4th in lanes 3 and 4), 5 points in my fourth heat (3rd in lanes 3 and 5 and 4th in lane 4) and 5 points in my fifth heat (2nd in lane 1 and 3rd in lane 5). I scored 12 points in my quarter-final (2nd in lanes 1, 2 and 4, 3rd in lane 5 and 4th in lane 3) and qualified for the semi-finals. I scored 10 points in my semi-final (2nd in lane 1, 3rd in lanes 3, 4 and 5 and 4th in lane 2) and qualified for my first Slotstox Foxhall Championship final. In the final I scored 15 points (1st in my first race in lane 4, 2nd in my second race in lane 1, 3rd in each of my two races in lane 2 and my first race in lane 3 and 4th in my second race in lane 3 and my second race in lane 4) and finished as runner-up. I was the only semi-finalist to be racing with a MRRC 222 engine - the other drivers racing with either an SRS or Parma engine! For a variety of reasons, unfortunately, this highlight of my Slotstox racing career to date did not go down well in some quarters. This included racing during the latter stages with a back axle holder that kept breaking during races and lowering the rear of my Slotstox making it harder to knock-out or pass. Also due to only winning two (including one of my two races in lane four of the final) out of the forty-five races that I competed in during the Championship. This compared unfavourably with the Champion who won seventeen races and the other finalists who each won fourteen races; plus with thirty-two drivers having competed in the championship: my number of race wins was beaten by two drivers who finished outside the top twenty qualifying places for the quarter-finals! I was 5th in the final on 28th August. On the fourth Slotstox Foxhall Points Championship chart of the season, I had 434 points and was still 2nd in the Slotstox Foxhall Points Championship with Superstar grade status. Having missed round 4 of the Slotstox Foxhall Grand Prix Series Championship on 7th August, I was down to 7th in the points and following round 5 on 4th September, I had 170 points and was still 7th in the points. At the Slotstox East Anglian Championship hosted by the Foxhall Foxes Slotstox Club on 25th September, I qualified from the heats with 32 points: 8 points in my first heat (1st in lane, 2nd in lane 4 and 4th in lane 5), 13 points in my second heat (1st in lane 1, 2nd in lane 2 and 3rd in lanes 3, 4 and 5) and 11 points in my third heat (1st in lane 1, 2nd in lane 2 and 3rd in lanes 3 and 4). I finished 4th in my semi-final with 4 points (I started in lane 5 and won in lane 1) and was eliminated. Due to the damage sustained by my Slotstox at the Slotstox Foxhall Championship, the fall out from my result affecting my enthusiasm, plus running in a new Paul Mower Racing built Slotstox my results over the remainder of 1992 tailed off significantly. So much so that I ended up finishing the Slotstox Foxhall Points Championship in 13th with 510 points and back in Red grade status. I also dropped to finish 19th with 191 points in the Slotstox Foxhall Grand Prix Series Championship after the final round on 27th November. Due to the fall out from my result at the Slotstox Foxhall Championship affecting my enthusiasm: following the 1992 season, I stopped racing at the Foxhall Foxes Slotstox Club. This time-out also co-incided with starting work and studying for accountancy exams. All this impacted on my time availability and racing took a back seat in the list of priorities. This sabbatical from racing continued through 1994 and 1995. Early in the season, I decided to visit the Foxhall Foxes Slotstox Club again to catch up with some 'old' friends. The Club had changed significantly with new people in charge and several 'new' members. I quickly got the 'racing' bug again and having initially raced the Paul Mower Racing Slotstox that I started racing towards the end of the 1992 season, it was not long before I bought a Chris Butcher Racing built Slotstox - a Slotstox that Chris described as being 'far from proud of! I also quickly took on the role of organising the table tennis! Due to missing the start of the Slotstox season, I was 16th on the first Slotstox Foxhall Points Championship chart of the season. I was up to 14th with 176 points on the second Slotstox Foxhall Points Championship chart of the season and Blue grade status. I had qualified for 3 semi-finals and converted 1 of these into a final appearance: finishing as runner-up on 8th March, and earning 11 bonus points. With the first 3 rounds of the Slotstox Foxhall Grand Prix Series Championship having taken place during 1995: after round 4 on 1st March I was 37th in the points and up to 33rd with 45 points after round 5 on 12th April. Continued steady performances followed including runner-up in the final on 14th June, 3rd in the final on 12th July and 5th in the final at the Slotstox Foxhall Grand Prix Series Championship round 7 on 19th July. I was up to joint 6th on the fourth Slotstox Foxhall Points Championship chart of the season. I was up to 5th on the fifth Slotstox Foxhall Points Championship chart of the season and Superstar grade status with 546 points! I had qualified for 13 semi-finals and converted these into 5 final appearances earning 47 bonus points. I had also achieved one heat maximum. I missed round 6 on 7th June but remained 33rd in the Slotstox Foxhall Grand Prix Series Championship points. I was up to 26th in the points following my 5th in the final at round 7 with 94 points before finishing 18th in the points after the 8th and final (double points) round on 23rd August with 174 points. I was joint 3rd in the 1996/97 Slotstox Foxhall Grand Prix Series Championship points after round 1 on 4th October having finished 3rd in the final. I was up to 4th on the sixth Slotstox Foxhall Points Championship chart of the season. I was 5th in the final on 18th October and runner-up in the final at the final meeting of the Slotstox Foxhall Points Championship on 29th November. Despite missing the start of the season, I finished 4th on the seventh and final Slotstox Foxhall Points Championship chart of the season with 792 points and Superstar grade status. I had qualified for 21 semi-finals and converted these into 9 final appearances earning a total of 72 bonus points. I was down to 5th in the Slotstox Foxhall Grand Prix Series Championship points after round 2 on 15th November with 91 points. The highlight of my season and of my racing career to date came on 1st December, when I raced at and finished 4th at my first Slotstox World Championship. This was hosted by the Foxhall Foxes Slotstox Club. As I finished in the top five of the Slotstox Foxhall Points Championship, I was appointed a Team Captain at the Slotstox Foxhall Team Championship on 6th December. Our team name was the 'Gumbies' and in our first heat match we lost 32-35 against the 'Clowns' team. In our second heat match we won 44-29 against the defending champions 'Hot Wods' team. In our third heat match we won 48-26 against the 'Lesser Mortals' team. In our heat fourth heat we won 54-22 against the 'Jokers' team. Although we lost one of our four matches, we were the highest points scorers with 178 points and fortunately for us it had been agreed prior to the meeting that the winning team would be based on the team that scored the most points! At round 1 of the Slot-Saloons Foxhall Points Championship (nicknamed the 'Thunderdrome Series') on 15th March, I borrowed and raced a Horry Barnes replica Slot-Saloon and finished 3rd in my semi-final and 5th in the final. I was 9th with 36 points on the Slot-Saloons Foxhall Points Championship chart and Blue grade status. At round 2 on 31st May, I started borrowing and racing a Slot-Saloon from Chris Butcher Racing and I finished 3rd in the final having been joint highest points scorer in the heats with 55 points and 3rd in my semi-final. I was up to 2nd on the Slot-Saloons Foxhall Points Championship chart and Red grade status. I maintained 2nd and Red grade status on the Slot-Saloons Foxhall Points Championship chart after round 3 on 9th August with 139 points. At round 4 on 27th September, I was 6th highest points scorer in the heats with 42 points, runner-up in my semi-final and runner-up in the final. I was still 2nd and Red grade status on the Slot-Saloons Foxhall Points Championship chart. At the 5th and final round on 22nd November, which doubled up as the Slot-Saloons Foxhall Championship, I was 2nd highest points scorer in the heats with 56 points before being eliminated in the semi-finals. I had, however, done enough to finish as runner-up with Red grade status in the Slot-Saloons Foxhall Points Championship with 246 points. By the end of the season, I was also racing a Slot-Banger built by Paul Glading and after the first 4 rounds, I was 14th on the Slot-Bangers Foxhall Points Championship (nicknamed 'Crasherama') chart. At the 5th and final round on 25th October, I was 4th highest points scorer in the heats with 36 points before finishing 5th in the final. I finished 12th in the Slot-Bangers Foxhall Points Championship with 95 points. I was 8th on the first Slotstox Foxhall Points Championship chart of the season. I had dropped to 10th with 187 points on the second Slotstox Foxhall Points Championship chart of the season and was Red grade status. I maintained 5th in the Slotstox Foxhall Grand Prix Series Championship points after round 3 on 7th March and I was up to 3rd with 167 points after round 4 on 18th April. Although I had qualified for 4 semi-finals but not converted any of these into a final appearance, earning 6 bonus points, all was not lost. This season saw the introduction of the Slotstox Foxhall Grand National Championship for the winner of the final plus the losing semi-finalists - I was 3rd on 21st February followed by a win on 4th April and 4th on 18th April and with 15 points I was 4th in the qualifying points. For a bit of fun the scrutineer's report included a points chart with 5 points awarded for a pass and minus 10 points for a fail. I had 0 points! I qualified for my first final of the season finishing 4th at the Foxhall Foxes Slotstox Club's 13th Birthday meeting on 9th May by virtue of a maximum in my semi-final that won me the 'Driver of the Night' award. I followed this with 5th in the final on 16th May. I had qualified for 7 semi-finals and converted these into 2 final appearances earning 21 bonus points. I was still Red grade status but back up to 8th on the third Slotstox Foxhall Points Championship chart of the season with 304 points. Having qualified for but not winning finals, still with 15 points I was down to 5th in the Slotstox Foxhall Grand National Championship qualifying points. I was still 3rd in the Slotstox Foxhall Grand Prix Series Championship points after round 5 on 30th May with 211 points. I was 3rd in the final on 20th June and I was up to 7th on the fourth Slotstox Foxhall Points Championship chart of the season. I had dropped to 4th in the Slotstox Foxhall Grand Prix Series Championship points after round 6 on 11th July with 233 points. I then qualified for three-finals-in-a-row: runner-up on 25th July, 5th on 1st August and a win on 8th August. I followed up the final win on 8th August by also winning the Grand National and with other Grand National results of joint 3rd on 18th July and 4th on 22nd August, I was maintaining 5th with 29.5 points in the Slotstox Foxhall Grand National Championship qualifying points. I had qualified for 13 semi-finals and converted these into 6 final appearances earning 51 bonus points. I was up to 3rd with 529 points and Superstar grade status on the fifth Slotstox Foxhall Points Championship chart of the season. I finished 4th in the Slotstox Foxhall Grand Prix Series Championship points after the 7th and final (double points) round on 22nd August with 299 points. I was featured in the driver profile in the Foxhall Foxes magazine issue number 11. At the Slotstox Foxhall Championship on 5th and 12th September, I qualified from the heats with 64 points: 10 points in my first heat (2nd in lanes 1, 2 and 3 and 4th in lane 3), 14 points in my second heat (1st in lane 3, 2nd in lanes 1 and 5 and 3rd in lanes 2 and 4), 5 points in my third heat (2nd in lane 4 and 3rd in lane 3), 12 points in my fourth heat (1st in lane 1, 2nd in lanes 2 and 3 and 3rd in lane 4), 13 points in my fifth heat (1st in lane 2, 2nd in lanes 1 and 4, 3rd in lane 5 and 4th in lane 3) and 10 points in my sixth heat (1st in lane 1, 2nd in lane 3, 3rd in lane 5 and 4th in lane 4). I finished joint first in my semi-final with 11 points (I started in lane 3 and finished 3rd in that lane, 4th in each of my races in lane 4 and 5, 1st in lane 1 and 2nd in lane 2) and raced in a three-way run-off with first and second qualifying for the final and third racing in a run-off with the third place in the other semi-final (also decided by a run-off following a two-way tie for 2nd!) to determine the highest scoring third place qualifier! I started the three race run-off in the middle lane and there were no finishes. I finished 2nd in each of my races on the outside and on the inside. With 6 points, I finished as runner-up in the run-off and qualified for my second Slotstox Foxhall Championship final appearance: the previous being 'that' runner-up finish in 1992! I started the final with 3rd in my first race in lane 1, I finished 2nd in each of my second race in lane 1 and my two races in lane 2, 3rd in each of my first race in lane 3 and my first race in lane 4, 2nd in my second race in lane 4 before not scoring any points in lane 5. At the end of the final I had scored 18 points and finished 3rd. I finished 3rd in the final on 19th September followed by a win on 26th September, a 5th on 17th October and runner-up on both 7th November and 5th December. I finished 3rd on the seventh and final Slotstox Foxhall Points Championship chart of the season with 787 points. I had qualified for 22 semi-finals and converted these into 12 final appearances earning a total of 89 bonus points. In between, on 21st November, I again captained the 'Gumbys' team in defending the Slotstox Foxhall Team Championship. In our first heat match, we beat the 'Rockets' team 38-32. In our second heat match, we beat the 'Fencers' team 39-24. In our third heat match, we beat the 'Muppets' team 39-27. In 1996, we won the Slotstox Foxhall Team Championship as highest points scorers even though we lost one of our heats. In 1997, the winner would be the team that won the most matches and we won all three of our matches. This again worked to our advantage as we were joint highest points scorers with the 'Rockets' team on 116 points! Unfortunately, especially as I had been in good form leading up to it, with my final accountancy exams taking place the week following: priorities meant that I missed the Slotstox World Championship on 7th December. I was joint winner of the Slotstox Grand National on 10th October and winner on 14th November. I qualified in 5th with 44.5 points for the Slotstox Foxhall Grand National Championship semi-finals at the Foxhall Foxes Slotstox Club end of season gala night on 12th December. Runner-up in my semi-final was followed by 4th in the final. My best form was certainly not retained for the 1997/98 Slotstox Foxhall Grand Prix Series Championship rounds as I was 8th in the points following round 1 on 10th October with 37 points although I was up to 7th in the points following round 2 on 28th November with 80 points. On 20th December, I made my first ever visit to the Ely Slotstox Club for the Ely 'Open' Championship. I was 2nd highest points scorer in the heats and runner-up in my semi-final before ending the season with a win in the final and a hastily arranged bottle a wine! In contrast to my season's start in Slotstox, I made a good start in the Slot-Saloons Foxhall Points Championship (nicknamed the 'Thunderdrome Series'). I was 2nd in the points and Red grade status following a 3rd in the final at round 1 on 28th February. I was up to the top of the Slot-Saloons Foxhall Points Championship chart and Silver grade status with 106 points following a win in the final at round 2 on 11th April. I was back down to 2nd and Red grade status on the Slot-Saloons Foxhall Points Championship chart after round 3 on 23rd May. I returned to the top of the Slot-Saloons Foxhall Points Championship chart and Silver grade status following round 4 on 27th June with 196 points. At round 5 on 29th August, I was runner-up in the final and maintained my position at the top of the Slot-Saloons Foxhall Points Championship chart and Silver grade status with 246 points. The sixth and final round on 3rd October doubled up as the Slot-Saloons Foxhall Championship and despite having been unwell at work during the day, I finished as runner-up in the final by 1 point. In the final, I scored 15 points in my first three races and 15 points in my last four races to finish with 30 points. With my third in the final combined with 3rd top scorer in the heats and runner-up in my semi-final, I won the Slot-Saloons Foxhall Points Championship with 301 points. At the Foxhall Foxes Slotstox Club end of season gala night on 12th December, I finished as joint runner-up in the Slot-Saloon & Caravan Foxhall Championship. At the Foxhall Foxes Slotstox Club's Annual General Meeting, I was elected as Club treasurer. My season got off to an earlier than usual start with a visit to the Wisbech Fen Tigers Slotstox Club on 12th January debuting a new R.T.D. Slotstox (painted in the same colours as my original Slotstox in 1984 - a replica of the Superstox of John Gray). I finished as runner-up in my first heat before winning my consolation heat. I qualified through my semi-final and finished 3rd in the final. At the Foxhall Foxes Slotstox Club, I was 5th in the final on 27th February, 4th in the final at Slotstox Foxhall Grand Prix Series Championship round 3 on 6th March, runner-up on 20th March and 3rd on 3rd April. I was 4th and retaining Superstar grade status on the first Slotstox Foxhall Points Championship chart of the season with 125 points. I had qualified for 5 semi-finals and converted these into 4 final appearances earning 19 bonus points. I was up to 6th in the Slotstox Foxhall Grand Prix Series Championship points following my 4th in the final at round 3 with 127 points. Due to drivers not wishing to take part, despite being runner-up in the final on 20th March, I qualified for and won the Grand National. I was joint 5th with 8 points in the Slotstox Foxhall Grand National Championship qualifying points. I was up to 4th in the Slotstox Foxhall Grand Prix Series Championship points following being runner-up in the final at round 4 on 24th April. On 2nd May, I made another trip to the Wisbech Fen Tigers Slotstox Club racing as part of the 'Wacky Racers' team representing the Foxhall Foxes Slotstox Club with the father and son Brett duo of Keith and Carl at the inaugral Wisbech Fen-Tigers Slotstox Club 'Open' Team Championship. We were joint highest points scorers following the three sets of heats with 117 points. We were the highest points scorers in the first set of heats beating host club team the 'Three Amigo's' 43-31. We were the second highest points scorers in the second set of heats beating another host club team the 'Staff Bulls' 50-22 and were the highest points scorers after the first two sets of heats. We lost our third heat against the Aldershot Knights Slotstox Club 'Knights' team 24-29. We finished as 8th highest points scorers in the quarter-finals losing 45-12 to the eventual Champions: the 'Fen Stars' team from the host club and were eliminated. I qualified for my first Slotstox Suffolk Championship final: hosted by the Foxhall Foxes Slotstox Club on 8th May and finished 3rd. I finished 4th in the final at the Foxhall Foxes Slotstox Club's 14th Birthday meeting on 15th May (4th at the Birthday meeting for the second-season-in-a-row!). On the second Slotstox Foxhall Points Championship chart of the season, I was still Superstar grade status and up to 2nd in the points for the first time since 1992. I maintained 4th in the Slotstox Foxhall Grand Prix Series Championship points following round 5 on 5th June with 215 points. I had dropped to 5th on the third Slotstox Foxhall Points Championship chart of the season but was maintaining Superstar grade status with 348 points. I had qualified for 11 semi-finals and converted these into 7 final appearances earning 43 bonus points. I was 5th in the Grand National on 17th April, runner-up on 22nd May and 3rd on 5th June. I was up to 4th with 20 points in the Slotstox Foxhall Grand National Championship qualifying points. I was 4th in the final at the 6th and final (double points) round of the Slotstox Foxhall Grand Prix Series Championship on 17 July. I finished 4th in the points for the second-season-in-a-row with 283 points. I finished 5th in the final on 7th August. I was maintaining 5th and Superstar grade status on the fourth Slotstox Foxhall Points Championship chart of the season. Despite a 3rd in the Grand National on 10th July and 6th on 24th July, I was down to 7th with 29 points in the Slotstox Foxhall Grand National Championship qualifying points. I made my usual unspectacular start to the Slotstox Foxhall Grand Prix Series Championship being 8th in the 1998/99 points after round 1 on 28th August with 40 points. At the Slotstox Foxhall Championship on 11th and 18th September, I qualified for the semi-finals as one of the four highest points scorers in the heats and qualified for the final as runner-up in my semi-final. I led the final for the first 6 races before possibly settling for too many places and finished 3rd for the second-season-in-a-row. This was my third Slotstox Foxhall Championship final appearance having also been runner-up in 1992. I was 5th in the final on 16th October. I was still maintaining 5th and Superstar grade status on the fifth Slotstox Foxhall Points Championship chart of the season. Ironically, I had 546 points and what's more this was the same as at the time of the fifth Slotstox Foxhall Points Championship chart in 1996 when I was also 5th in the points! I had qualified for 18 semi-finals and converted these into 11 final appearances earning 60 bonus points. I was up to 6th in the Slotstox Foxhall Grand Prix Series Championship points following a 3rd in the final at round 2 on 6th November with 85 points. Unfortunately, I was placed too low in the Slotstox Foxhall Points Championship chart to be a Captain at the Slotstox Foxhall Team Championship on 27th November and therefore attempt a hat-trick of wins as Captain. I finished the season joint 5th and Superstar grade status on the sixth and final Slotstox Foxhall Points Championship chart of the season with 649 points. I had still qualified for 18 semi-finals with 11 final appearances earning a total of 60 bonus points. At the Slotstox World Championship, hosted by the Foxhall Foxes Slotstox Club on 6th December, I qualified from the heats with 38 points: 13 points in my first heat (1st in lane 1, 2nd in lanes 2 and 3, 3rd in lane 4 and 4th in lane 5), 9 points in each of my second and third heats (1st in lane 1, 2nd in lane 2 and 3rd in lane 3 each time) and 7 points in my fourth heat (1st in lane 1, 3rd in lane 3 and 4th in lane 5). I finished 4th in my quarter-final with 5 points (I started in lane 3 and finished 4th in that lane and 1st in lane 1) and was eliminated from the championship. Following a 3rd in the Grand National on 28th August, a win on 20th November and 3rd on 4th December, I qualified in 7th with 41 points for the Slotstox Foxhall Grand National Championship at the Foxhall Foxes Slotstox Club end of season gala night on 11th December. I finished 5th in my semi-final and was eliminated. My defence of the Slot-Saloons Foxhall Points Championship (nicknamed the 'Thunderdrome Series') got off to a disastrous start and I scored 23 points at round 1 on 13th March. I was joint 14th in the points with a White grade status (although I retained Silver grade status for the season by virtue of being the defending champion). I had dropped to 18th on the Slot-Saloons Foxhall Points Championship chart after round 2 on 1st May. I was up to 9th and Blue grade status on the Slot-Saloons Foxhall Points Championship chart after round 3 on 29th May with 83 points. At round 3, I was 3rd in the Grand National (now introduced in Slot-Saloons following a successful introduction in Slotstox) and was 9th with 4 points in the Slot-Saloons Foxhall Grand National Championship qualifying points. I finished as joint runner-up at the Slot-Saloons Foxhall Pairs Championship on 19th June, paired with Robin Bater. At round 4 of the Slot-Saloons Foxhall Points Championship on 21st August, I was joint 7th highest points scorer in the heats with 37 points before being eliminated in the semi-finals and finishing 4th in the Grand National. I was up to 7th on the Slot-Saloons Foxhall Points Championship chart. At round 5 on 25th September, I was joint 2nd highest scorer in the heats with 41 points before finishing as runner-up in my semi-final and 3rd in the final. I was up to 6th and Red grade status on the Slot-Saloons Foxhall Points Championship chart with 169 points. I was in the 10th and last qualifying place for the Slot-Saloons Foxhall Grand National Championship with 7 points. The sixth and final round of the Slot-Saloons Foxhall Points Championship on 13th November doubled up as the Slot-Saloons Foxhall Championship. I was runner-up in my semi-final before finishing runner-up in the final for the second-season-in-a-row (the winner being my Slot-Saloons Foxhall Pairs Championship partner Robin!). Despite my disastrous start in the Slot-Saloons Foxhall Points Championship, I ended up finishing 5th with 216 points and Red grade status. I had qualified for 4 semi-finals and converted half of these into a final appearance earning a total of 18 bonus points. I finished in the 10th and last qualifying place, still with 7 points, for the Slot-Saloons Grand National Championship at the Foxhall Foxes Slotstox Club end of season gala night on 11th December. I finished 4th in my semi-final and was eliminated. Also at the Foxhall Foxes Slotstox Club end of season gala night, I finished as joint runner-up in the Slot-Saloon and Caravan Foxhall Championship for the second-season-in-a-row. I made a rare Slot-Bangers appearance towards the end of the season but did not trouble the scorers too greatly scoring only 9 points to finish 16th in the 'Unofficial' (due to temporary racing rules being introduced) Slot-Bangers Foxhall Points Championship (nicknamed 'Crasherama')! My season started with a 5th in the final on 5th February before being runner-up in the final on 5th March. I was 6th on the first Slotstox Foxhall Points Championship chart of the season. I was up to 4th in the Slotstox Foxhall Grand Prix Series Championship points following round 3 on 19th February. I was down to 7th and Red grade status on the second Slotstox Foxhall Points Championship chart of the season with 224 points. I was up to 3rd in the Slotstox Foxhall Grand Prix Series Championship points following round 4 on 9th April; with 170 points and only 1 point behind 2nd. Having qualified for 6 semi-finals and converting these into only 2 final appearances,earning 17 bonus points, I had the consolation of winning the Grand National on 12th March and 9th April as well as being runner-up on 23rd April. I was 2nd, with 22 points, in the Slotstox Foxhall Grand National Championship qualifying points. On 1st May, I raced as part of the 'Gumbies' team representing the Foxhall Foxes Slotstox Club with Ben Freeman and Mark West at the Wisbech Fen-Tigers Slotstox Club 'Open' Team Championship. We were 5th highest points scorers following the three sets of heats with 118 points (55 points and highest points scorers in our first heat, 30 points in our second heat and 33 points in our first heat). We lost 33-45 in the quarter-finals to the eventual runners-up: the 'Dream Team' from the Foxhall Foxes Slotstox Club. I was up to 5th on the third Slotstox Foxhall Points Championship chart of the season. I retained 3rd in the Slotstox Foxhall Grand Prix Series Championship points following my 5th in the final at round 5. I was 5th in the final on 25th June, 3rd in the final two weeks in a row on 23rd and 30th July and runner-up in the final on 13th August. I was up to 4th on the fourth Slotstox Foxhall Points Championship chart of the season with 462 points. I had qualified for 14 semi-finals and converted these into 8 final appearances earning 48 bonus points. I dropped to finish 4th for the third-season-in-a-row in the Slotstox Foxhall Grand Prix Series Championship with 244 points having scored only 30 points at the 6th and final (double points) round on 9th July. By qualifying for more finals, being joint winner of the Slotstox Grand National on 11th June and 3rd on 16th July could not stop me from dropping to 5th with 33 points in the Slotstox Foxhall Grand National Championship qualifying points. I was 3rd in the 1999/2000 Slotstox Foxhall Grand Prix Series Championship points following a 3rd in the final at round 1 on 20th August with 53 points. I was eliminated in the semi-finals at the Slotstox Foxhall Championship on 10th and 17th September. It was only through good scoring in the remaining heats on the 17th that I qualified for the semi-finals having been out of the top ten qualifying places after the first four heats on the 10th. I was 4th in the final on 1st October. I maintained 4th on the fifth Slotstox Foxhall Points Championship chart of the season with 564 points. I had qualified for 18 semi-finals and converted these into 10 final appearances earning 63 bonus points. I was 4th in the Grand National on 9th October and maintained 5th with 35 points in the Slotstox Foxhall Grand National Championship qualifying points. By the end of the season, I had qualified for 19 Slotstox semi-finals but still 10 final appearances earning a total of 66 bonus points. I had dropped to 8th in the 1999/2000 Slotstox Foxhall Grand Prix Series Championship points following round 2 on 29th October with 71 points. The highlight of my Slotstox season came on 28th November when I made only my second ever trip to the Aldershot Knights Slotstox Club for the Slotstox English 'Open' Championship (the first being in 1991 for the Slotstox British Championship). I was 14th highest points scorer in the heats with 59 points and qualified for the quarter-finals. I won my quarter-final with 19 points before being runner-up (on count back of number of race wins) in my semi-final with 20 points. Things did not go quite so well in the final scoring 6 points but overall I was pleased with a 5th place finish. In contrast, the Slotstox World Championship a week later hosted by the Foxhall Foxes Slotstox Club on 5th December did not go well. I scored 32 points in my heats: 8 points in my first heat (2nd in lanes 1 and 4 and 3rd in lane 3), 11 points in my second heat (1st in lane 1, 2nd in lane 2 and 3rd in lanes 3 and 4), 6 points in my third heat (3rd in lanes 1 and 5 and 4th in lanes 2 and 3) and 7 points in my fourth heat (2nd in lane 2 and 3rd in lanes 1 and 3) and was eliminated from the championship. A joint 5th in the Grand National on 22nd October was not enough to stop me from dropping to finish 7th in the Slotstox Foxhall Grand National Championship qualifying points. I finished 4th in my semi-final at the Foxhall Foxes Slotstox Club's end of season gala night on 10th December and was eliminated. At round 1 of the Slot-Saloons Foxhall Points Championship (nicknamed the 'Thunderdrome Series') on 26th February, I did not qualify for the semi-finals. I was 15th on the Slot-Saloons Foxhall Points Championship chart. At round 2 of the Slot-Saloons Foxhall Points Championship on 19th March I won my semi-final. I scored 14 points in the final and finished as runner-up following a three-way run-off. I was up to 9th and Blue grade status on the Slot-Saloons Foxhall Points Championship chart. By qualifying for and winning 1 semi-final plus runner-up in the final, I had earned 9 bonus points. My results then began to resemble those when I won the Slot-Saloons Foxhall Points Championship in 1997. I was 5th in the final at both rounds 3 and 4 on 7th May and 18th June respectively having been runner-up in my semi-final each time. I was up to 4th on the Slot-Saloons Foxhall Points Championship chart. This was followed by being runner-up in the final at round 5 on 6th August having won my semi-final. I was up to 3rd with Red grade status on the Slot-Saloons Foxhall Points Championship chart with 227 points. I had qualified for 4 semi-finals and converted each of these into a final appearance earning 24 bonus points. I was 4th in the final at round 6 on 3rd September having been runner-up in my semi-final. I finished 4th and was eliminated in my semi-final at round 7 on 24th September. I was joint top with Chris Butcher (from whom I borrowed my Slot-Saloon!) on the Slot-Saloons Foxhall Points Championship chart. I finished lowest scoring 3rd and was eliminated in my semi-final at round 8 on 15th October. I was down to 2nd on the Slot-Saloons Foxhall Points Championship chart but just 4 points behind 1st. I had qualified for 7 semi-finals and converted these into 5 final appearances scoring 35 bonus points. 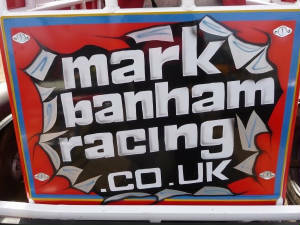 I did not qualify for the final at round 9 on 12th November which doubled up as the Slot-Saloons Foxhall Championship. I maintained runner-up in the Slot-Saloons Foxhall Points Championship with 376 points just 12 points behind 1st. I had still qualified for 7 semi-finals and 5 finals earning a total of 35 bonus points. At the Foxhall Foxes Slotstox Club's end of season gala night on 10th December I won the Slot-Saloons & Caravan Foxhall Championship following a run-off having scored 12 points in the final. Individually, I was 12th in the 'Unofficial' (as in 1998, due to temporary racing rules) Slot-Bangers Foxhall Points Championship (nicknamed 'Crasherama') towards the end of the season with 45 points. I improved to 11th before finishing 9th with 100 points.